Industrial silos are used to store a wide variety of materials, including dry goods, wet materials and chemical products, all of which require silo cleaning services. The buildup of residue on the interior reduces the volume of fresh product the silo will hold and may eventually make the silo unusable until the residue is removed. Free movement of stored materials, on a first-in, first-out basis, is key to maximizing silo efficiency, so that the oldest product is evacuated first and does not contaminate newer, fresher product. Common problems are rat-holing and bridging. With rat-holing, powder from dry goods adheres to the walls of the silo, allowing only a narrow channel (rat hole) through which product can flow out of the silo. Bridging happens when material causes a blockage at the base of the silo. Action Duct is highly skilled at safely and thoroughly cleaning silos, while minimizing downtime in your operation. Our service is fast and effective. We also clean bins, hoppers, tanks, cooling towers, industrial ovens and high ceilings. 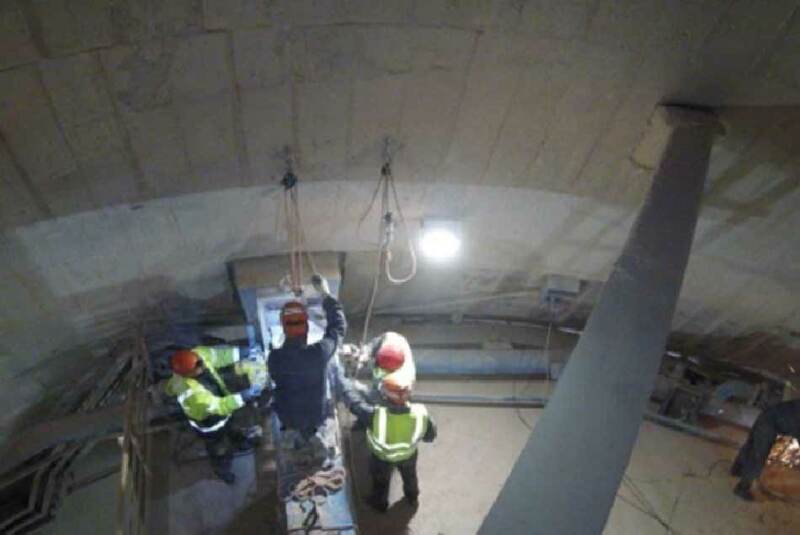 Action Duct is one of the most experienced silo cleaning companies in the nation. We will never compromise on quality or safety. Food storage receptacles, such as flour silos, need routine maintenance. Poor or delayed silo cleaning can create liability issues. Certain species of beetles thrive on grain and seed products. They will invade and contaminate flour silos readily if not cleaned regularly. Periodic cleaning removes old food product, thus reducing the spread of microbial contamination into a freshly filled silo.